TransCanada Corp. hired RBC Capital Markets LLC to sell a stake in the Coastal GasLink project, which would supply a Royal Dutch Shell Plc-led gas-export terminal, as the pipeline faces mounting opposition. If TransCanada moves forward with the sale, joint venture partners in the C$6.2 billion ($4.7 billion) project could end up owning as much as 75 percent of the pipeline, the company said in a filing to the National Energy Board dated Jan. 25. The line would connect gas fields in western Canada’s prolific Montney shale formation with the C$40 billion LNG Canada project on British Columbia’s coast. Coastal GasLink, which would span 416 miles (670 kilometers), is under construction and is expected to go into service into 2023. The stake sale process, which TransCanada disclosed last year, comes as Coastal GasLink is facing new hurdles, even after meeting every regulatory requirement it needs to proceed. Earlier this month, members of the Wet’suwet’en First Nation in British Columbia blockaded a public road near the project, preventing TransCanada from working on the line. The protest resulted in 14 arrests before a deal was reached to end the dispute. The confrontation raised the specter of further challenges or delays to the project, an unwelcome prospect for a Canadian energy industry that already is suffering from a shortage pipeline space brought on by environmentalists’ resistance and regulatory delays to new construction. 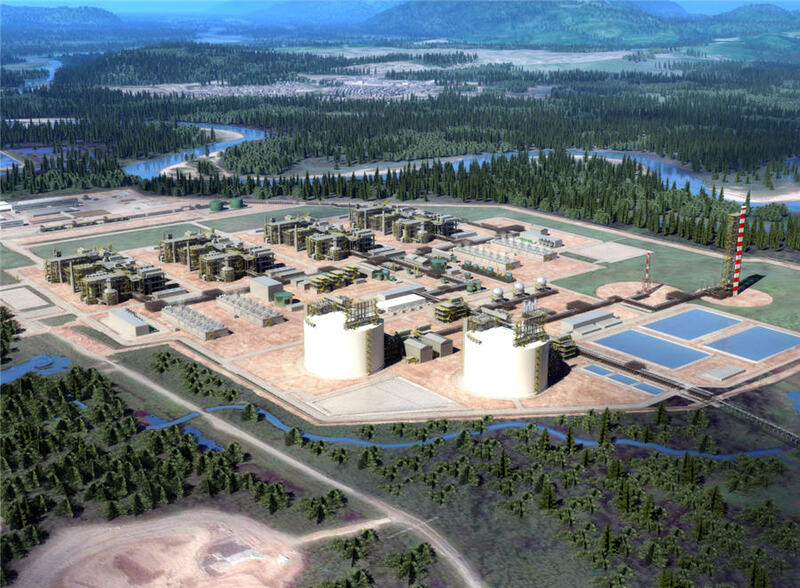 The LNG Canada project had won the support of all 20 First Nation groups it would affect — including the Wet’suwet’en — and had been hailed as a model for indigenous consultation. The pipeline, which would be built entirely within British Columbia, was only authorized by the provincial regulator. But a private citizen in Smithers, Michael Sawyer, mounted a legal challenge saying the pipeline is a federal undertaking and should’ve sought approval from the National Energy Board. The federal regulator on Dec. 10 issued a letter agreeing to consider the jurisdictional challenge and had requested evidence from the parties involved with final oral arguments set for March. It said then that if it determines that it should take jurisdiction over the project, a separate round of proceedings would then follow to determine whether to approve the project. TransCanada said in November that there has been “substantial’’ interest from potential partners in Coastal GasLink, and it ultimately plans to own 25 percent to 49 percent of the project. The company, based in Calgary, has sold various assets in the past few years as it strengthens its balance sheet and seeks to fund C$36 billion of capital projects, including the expansion of its Alberta gas network and new U.S. pipelines. In December, it agreed to sell a gas-fired generating station in Arizona for C$623 million. TransCanada has also said it’s considering offloading assets and bringing in partners to fund its controversial C$10.6 billion Keystone XL crude oil pipeline, which is awaiting a new U.S. environmental review. Coastal GasLink, which would span 416 miles (670 kilometers), is under construction and is expected to go into service into 2023.